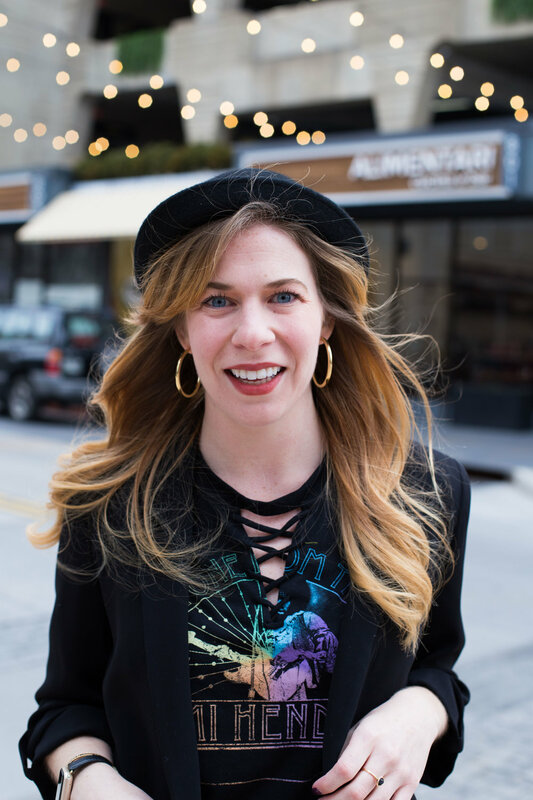 The Fashionable Foodie is a source of attainable style inspiration, simple recipes for the home cook, and travel advice. Lana once wrote a song about a girl who wore blue velvet. She croons on about the velvet that was bluer than the night and the girl's eyes, which were also bluer than the velvet she wore. I've always loved the song. Call it self-indulgence, but I connected to it. To me, the song was about me. Enter these pants. 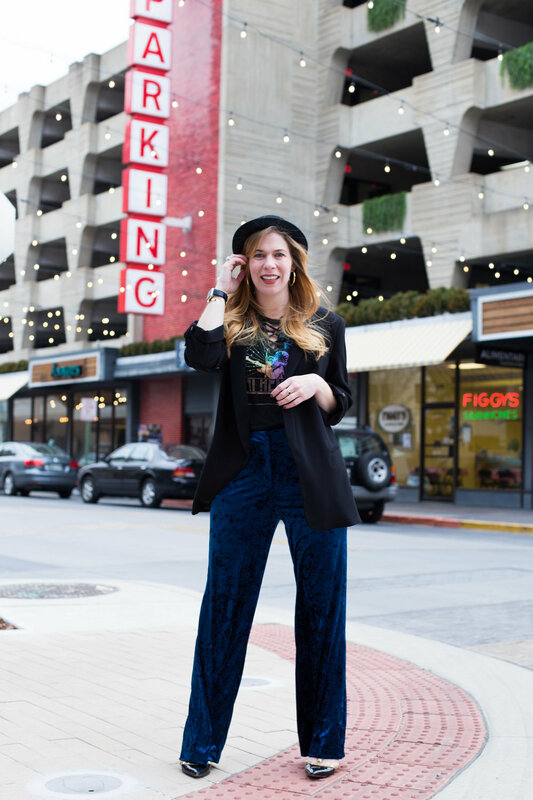 These super fun, statement-making, silky blue velvet pants. I loved them. I bought them without trying them on. 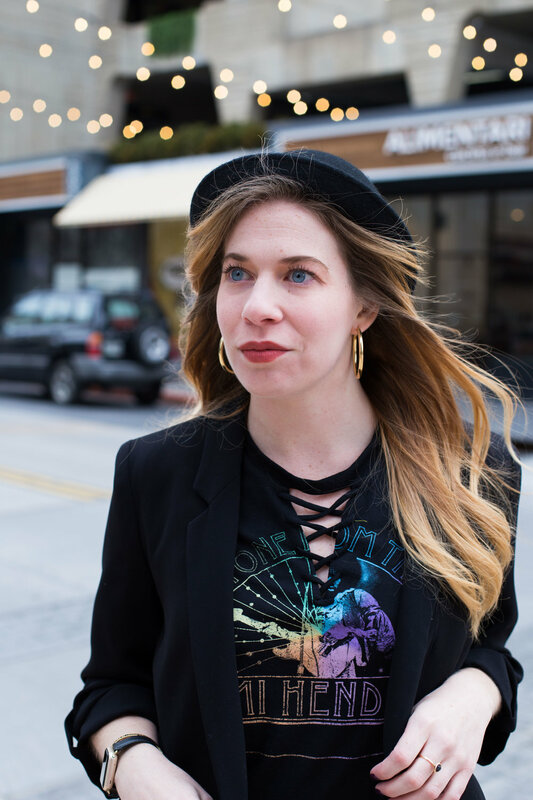 I've been spending most of my spending power on great staples to add to my closest recently, but sometimes you need to infuse those great staple pieces with something that just pops all on its own. Paired with a Jimi Hendrix and my favorite Zara blazer, it's a comfy outfit with a whole lot of attitude and so easy to replicate. I've linked some of my favorite options below! Have questions? Let me know in the comments below! Want more from me, The Fashionable Foodie? Follow me on Instagram, Facebook, Twitter, and Pinterest for more updates! Feb 6 What I'm wearing this week. | More velvet and tons of chokers. Apr 13 What I'm wearing this week. | Denim skirts and dainty scarves.